The Winter at Dusk Collection consists of six beautiful polishes and releases tomorrow, November 26th, at 9:00 PM CST! First up is Fire Frost – a light champagne base with subtle scattered holo, red-orange color shifting micro flakes, and violet orange flash. Shown here is two coats plus top coat. Generally, shades like these tend to be difficult to apply but not Fire Frost! The formula is really easy to work with and levels wonderfully, not leaving behind any streaks. I was also pleasantly surprised that it only took two coats to reach full opacity! I am loving the added elements of this polish. They make it just that more dainty and delicate! Ice Petals is a light blush pink with green gold shimmer, blue-violet-red iridescent micro flakes, shimmery silver flakes, and subtle linear holo (Phew! That was a mouthful 😛 ). Shown here is two coats plus top coat. Formula is really easy to control and cleans up very well. I had no issues with any of the shimmer or flakes remaining on my skin after removal. This polish is one that you have to see in person! There are so many wonderful elements packed into this polish that have to be seen all at once to truly understand the beauty of this polish. I didn’t think I would like this polish as much as I do! The linear holo throughout this polish is amazing! Winter Moon is a blue toned medium gray with light scattered holo, blue flash, and blue green sparkle. Shown here is three coats plus top coat. The formula is slightly thicker than the others in the collection so thin coats are best to avoid pooling and drying thick. With that being said, this polish builds opacity quite well and is easy to control. My favorite thing about this polish is how the blue green sparkle gives it a speckled look – so unique! The added elements are wonderful touches to the gorgeous grey base! I could lay under this starry night for an eternity! Last up is Snow Jewel – a rich medium purple with red-violet shimmer and lavender gold micro flakes. Shown here is two coats plus top coat. Great formula with great coverage! This polish is packed with red-violet shimmer that in some lighting completely transforms it! It’s a wonderful vibrant shade to go along with the rest of the colors in this collection. Another one that I like more than I thought I would! This is the transformation that I was talking about! Absolutely beautiful! What a wonderful and refreshing seasonal collection! I was really excited when I first opened up my swatch package and I still am! The story and inspiration behind the collection and individual colors is what makes Fair Maiden one of my favorite indies. Everything is always so thought out and cohesive! Each polish is wonderful on its own but can also be paired with any other color to create a truly wonderful look. Formulas are great and super easy to work with. 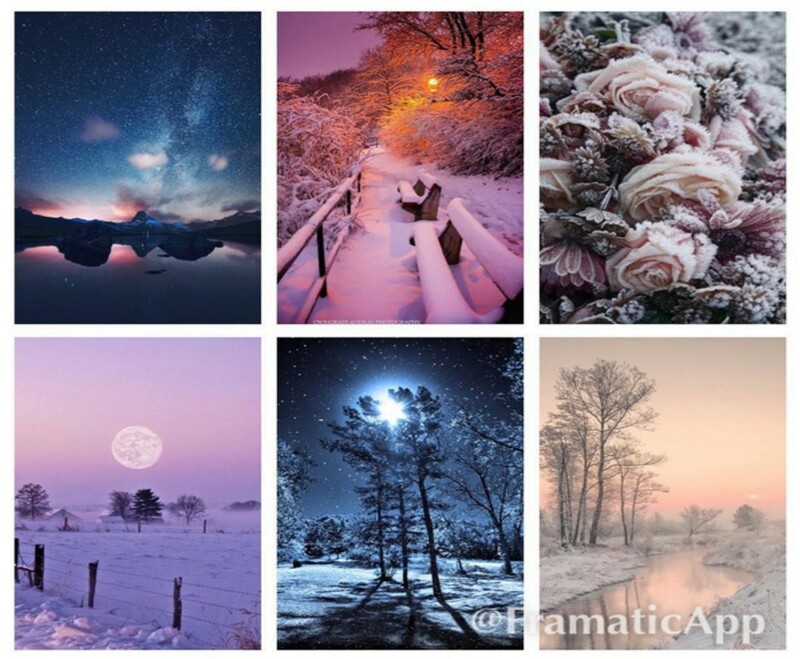 Color pallete is just as I would imagine for a collection entitled Winter at Dusk. 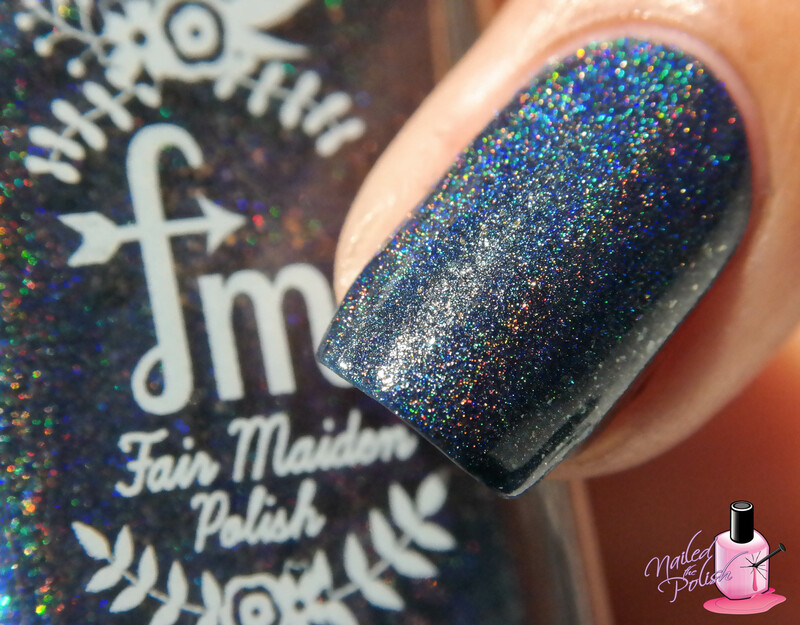 This might just be my favorite Fair Maiden collection yet! As stated above, this collection releases tomorrow, November 26th, at 9pm CST and will be available for purchase here. This collection will be sold in full size (15 mL) for $10 each and in mini size (7.5 mL) for $6.50 each. To kick off the holiday shopping season, there will be 25% off ALL purchases (including Winter at Dusk!!) 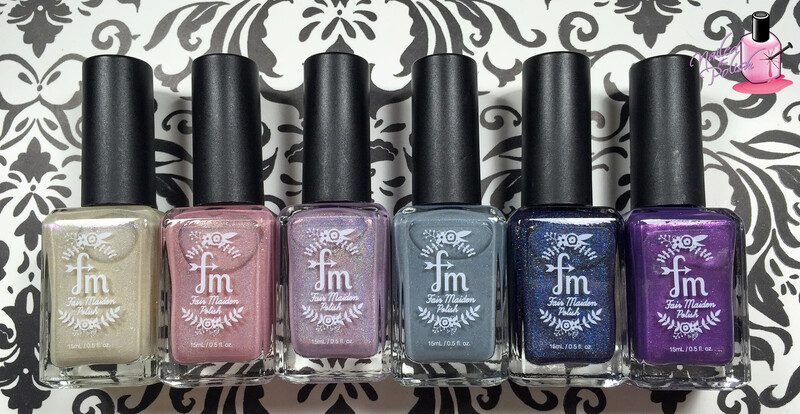 and a free limited edition Holiday 2015 polish for purchases of the full Winter at Dusk collection. Promotion goes from Thursday, November 26th (tomorrow) until Monday, November 30th. No promo code necessary – how awesome!! What are your thoughts on this collection? Which ones will you be picking up?